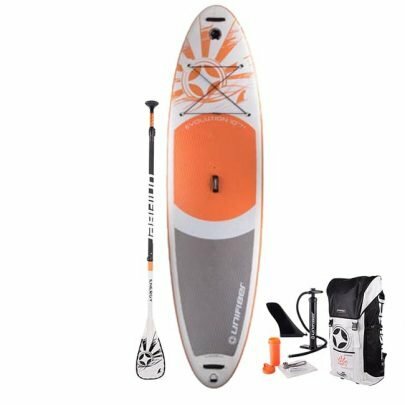 The All New 2019 Unifiber i Windsup: An inflatable SUP you can Windsurf on. 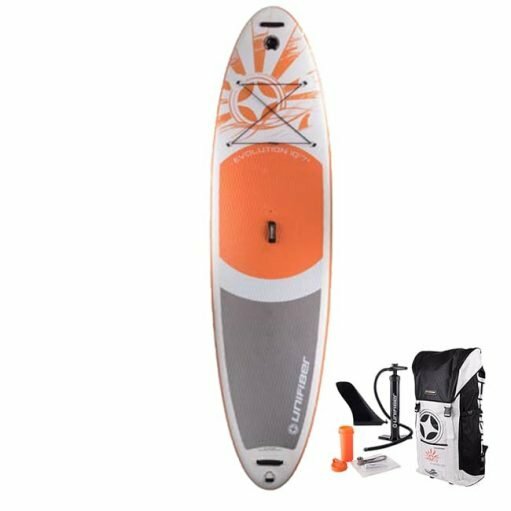 Is the wind spoiling your SUP-experience? 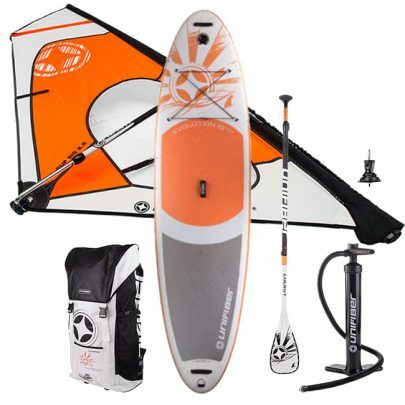 Turn your iSUP into a windsurfer and you can use the wind to your advantage! The Evolution 10’7” had been designed to easily change between paddling and windsurfing. The center fin minimizes drifting while windsurfing. Dismount the center fin when paddling for extra maneuverability. Starting 2019, all our inflatable boards are constructed with MSL® FUSION prelaminated dropstitch. This means that our boards are now lighter, stiffer and stronger than ever! Important: when you are using this board for windsurfing always use a Baseplate Cardan (U-Pin) to connect a windsurf rig.